Dr. Munroe’s Dental Center provides cosmetic dentistry services in Torrington, CT. Call 860-482-4041 to learn more and schedule your appointment. Cosmetic dentistry can transform both your smile and your confidence! At Dr. Munroe’s Dental Center, we specialize in cosmetic dentistry. This means that we work hard to create smiles that are both beautiful and functional. We protect your oral health, and boost your self-confidence. We blend knowledge and experience with advanced technology to help you visualize and attain the smile of your dreams. Depending on the current condition of your teeth, we may use one or more procedures spread over several visits to create your new smile. Of course, if you have any existing dental disease, we must treat it before starting on your cosmetic procedures. Teeth naturally yellow or darken over time. If you use tobacco or consume such tooth-staining items as coffee, tea, or blueberries, your teeth may become discolored at a faster rate. Certain childhood medications can also cause teeth to darken. 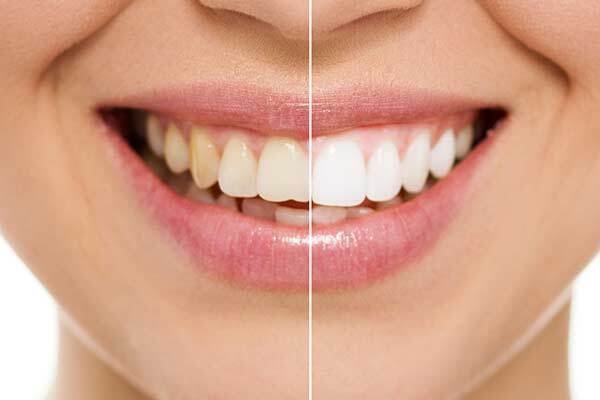 Teeth whitening, or bleaching, can restore your teeth to a brilliant white. We can perform in-office whitening or create custom bleaching trays for you to use at home. 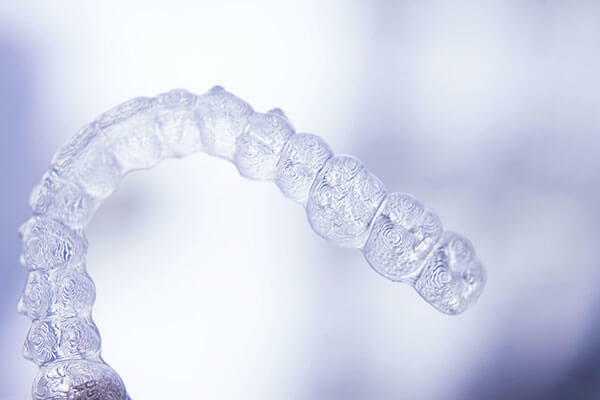 Invisalign is a modern way to straighten your teeth using clear, medical grade, comfortable aligners. There are no metal brackets or wires, and you will need to see the dentist just once every four to six weeks. Simply change aligners at home every two weeks or as directed. Your teeth will gently shift into place, and since Invisalign is virtually invisible, no one needs to know that you are straightening your teeth. Porcelain veneers are very thin shells of porcelain that slip over the natural teeth, hiding chips, small gaps, deep stains, and other imperfections. A slight layer of tooth enamel is removed, and a strong adhesive is used to bond the veneer onto the tooth and hardened under a specialized light. Porcelain veneers are strong and durable, and can last many years with proper care. 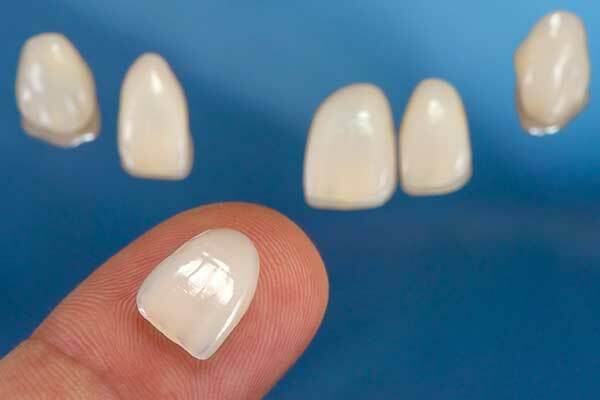 Note that porcelain veneers can be custom crafted in your choice of color, shape, and size. Many people choose to have their teeth whitened first, and then the veneers color-matched to their whiter, brighter smile. Just remember that if you choose this option, you will need to have your teeth whitened regularly, as they will darken again but the veneers will not. 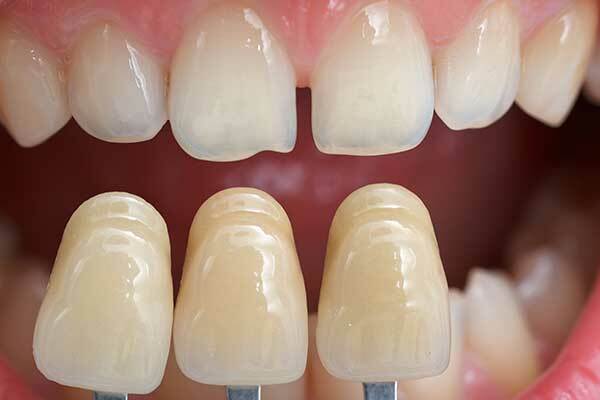 Cosmetic bonding uses tooth-colored material to change the shape, size, or color of the existing tooth. It is significantly less expensive than porcelain veneers, but is not as durable and is more prone to staining. However, bonding can typically be performed in just one visit, and the price point makes it an attractive option for many patients. Microabrasion shaves down the surface layer of tooth enamel to remove dark staining, yellowing, or spotting that is too deep for teeth whitening.